COLUMBUS – This morning, the Ohio Department of Jobs and Family Services released the July jobs report and revised June figures for Ohio. After losing nearly 3,000 jobs in May, the revised June job creation figure was reduced by almost a third. 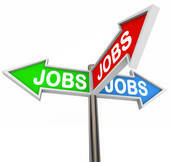 July’s report showed Ohio lost 12,400 jobs overall with 2,900 jobs lost in manufacturing. Ohio’s unemployment rate increased by .2% even though 6,000 Ohioans dropped out of the labor market—the 5th consecutive month Ohio’s labor market has shrunk. In July, Ohio’s labor participation rate fell below the national rate. This is third straight month that the number of employed Ohioans has shrunk. In 2010, Ohio created over 55,000 new jobs — more than it did in 2013 under Kasich. According to the U.S. Department of Labor’s Bureau of Labor Statistics, Ohio created 55,100 jobs in 2010, a year before Kasich took office, while only creating 50,400 jobs last year. [Source: U.S. Department of Labor, Bureau of Labor Statistics, CES Survey, seasonally adjusted (accessed 5/8/2014)].